With summer rolling in, even if you’re in Houston or New Orleans and not Mexico (the subject of this blog). it’s worth a reminder of how important it is to hydrate, and not just with water. Every year when I return to Mexico in June, I forget how Mexico’s coastal humidity makes staying hydrated even more difficult than it is in any just merely a hot city like Denver this time of year. The day after a work-out at my new barely-cooled gym, I felt like I’d participated in a rowing regatta, not just did a little upper-body work-out. If you’re considering visiting a Mexican coastal city in the summer, have you ever wondered what you would do if you had a heat stroke? Severe dehydration can cause blood clouts and seizures. The signs aren’t always obvious. People who practice sports know that if you feel thirst, it’s too late. Your body is already dehydrated. Other signs are muscle cramps, a fever or chill, food cravings and headaches from the body’s inability to break down glycogen. Like so many other conditions, dehydration is even more of a problem if you’re older. Your sense of thirst lessens. Your kidneys can’t store water as well. Over 50, you feel tired rather than thirsty. Experts say that many times when you’re older and want a nap, what you really need is a glass of water. Mexican coastal towns are notoriously humid. You get dehydrated more quickly because your body temperature is a lot higher than it feels. If I were in Denver, the sweat would evaporate and cool me down. Here you soak and that heats you up more. Ironically, the wetter you are, the more you need the water. It’s the kind of humidity that’s termed as dangerous, and can lead to medical emergencies. Even the tiniest, most humble tienda always carry Suero, a bottled electrolyte drink (They might not understand “electrolyte,” ask for “Suero,” pronounced “Swear-oh”). Water is not enough, and only partly responsible for hydration.What you eat is as important as what you drink. See all those Mexicans drinking the coconut water from the coconut shells? Coconut water has been called nature’s Gatorade. Coconuts are high in electrolytes and higher in water content than even watermelon. In Mexico coconut water is inexpensive (or you can just shake a tree). Other best foods for hydration are celery, cucumber, kiwi, bell peppers, carrots, pineapple and all citrus. As a science review, electrolytes and mineral salts are what charges the cells. They include calcium, magnesium, potassium, sodium, phosphate and chloride. Electrolytes stimulate nerves throughout the body and balance fluid levels. You can’t avoid electrolytes imbalance by avoiding exercise. Both lack of exercise and exercise can cause it, and it can be deadly. Hence my preoccupation with having a stroke in Mexico. Doctors often point out dehydration is often misdiagnosed as other health conditions, including heart disease and depression (85% of brain tissue is water. Dehydration causes energy generation in the brain to decrease). Even mild hydration has been shown to alter mood. Doctors recommend at least two liters of water a day. You'll need more if you're active in Mexico. Another factor can make it even harder to stay hydrated. Listen to this Spanish language practice audio and see if you can determine what it is. From NPR: A growing body of evidence finds that being just a little dehydrated is tied to a range of subtle effects — from mood changes to muddled thinking. Other ways to stay cool in Mexican coastal areas in the summer. Most recent: Sighs, and what they mean. Kerry Baker is the author of two books. 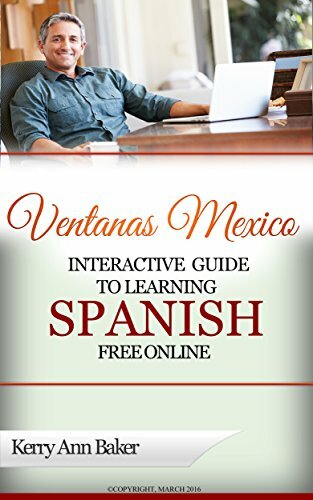 The first is "The Interactive Guide to Learning Spanish Free Online," a curation of the best free tools on the web to learn Spanish, with interactive links and organized into lesson plans. Boredom is the number one killer of motivation when it comes to learning a second language. Use the guide and create unique lessons every day. Music, newsletter, grammar videos, all from the best teachers, most of whom you'll never find in a Google search. 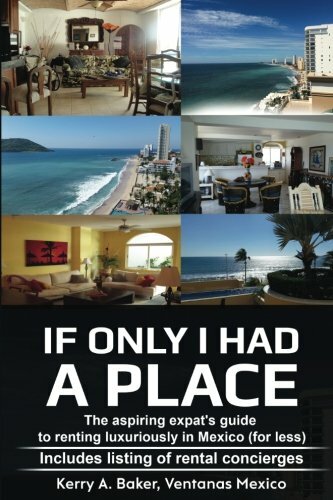 The second book is "If Only I Had a Place," the definitive guide to renting and establishing a system of finding the very best places for less, year after year. The book has a listing of rental concierges who can preview the apartments/houses that interest you in almost every major expat area.